Much like the Native Americans of the USA, and the Aborigines of Australia, the Ainu people of Japan have suffered discrimination, forced assimilation, and stringent government policies that threatened to strip them of their cultural heritage and language. Despite measures providing welfare and cultural promotion, the Ainu remain on the edge of obscurity in the public consciousness. In 2014, Sapporo City assemblyman Kaneko Yasuyuki tweeted that the Ainu people "no longer existed. ", which prompted an Ainu association to ask when exactly they ceased to exist. This year the government is trying to bring the Ainu into the spotlight. A draft bill codifying the Ainu as Japan’s "indigenous people" was submitted to the Diet for review on February 5, and later approved by the Cabinet. Experts, professors, economists, and so on lauded how the bill would finally legitimize the Ainu as an indigenous people; that a fight the Ainu had fought for years was finally over. The Ainu, however, had other things to say. At a press conference for the Foreign Correspondents’ Club of Japan, various Ainu ekashi (the Ainu word for 'elders') decried the vague wording of the bill and the notable absence of indigenous rights. They demanded the government retract the bill from Diet consideration and review it thoroughly. Other rights’ groups have questioned the government’s motives behind the bill’s submittal. The Sankei News reported what the bill’s main intention was: to appeal to the world by promoting the Ainu to foreign visitors ahead of the Tokyo Olympics in 2020. Other news outlets reported similar summaries of this bill, leaving the preservation of Ainu culture as an afterthought. That’s nothing new, given Japan’s long history of demeaning and subjugating the Ainu. 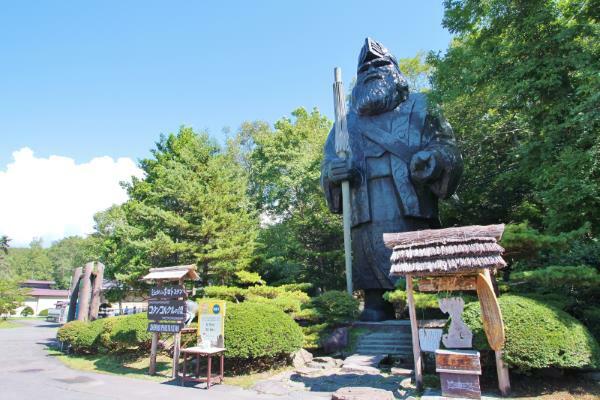 (JP) Link: Ainu Support Bill Decided by Cabinet; Declared "Aborigines"
Unseen Japan dove a little into the history of the Ainu with Noah Oskow's history of the colonization of Hokkaido. For those who missed it, here's a recap. The Ainu people trace their beginnings to pre-Jomon period Japan (c. 14,000–300 BCE), though their true genealogical map has still to be determined. The Ainu evolved out of a smattering of Jomon, Satsumon, and Okhotsk cultures. They primarily inhabited the northernmost island of Hokkaido, Sakhalin, and some of the Kuril Islands. The early Ainu were hunter-gatherers, relying on fishing and trade with other small tribes. They worshiped nature and animals, with the bear ranking chief among them. Today their true numbers are unknown, as some Ainu aren’t willing to disclose their ethnic roots, and many Ainu have assimilated so deeply into Japanese society they may lack knowledge of their Ainu roots. Estimates place the population to be between 25,000 and 200,000. We know that the Ainu and Japanese were familiar to each other as early as the 13th century, but it was in 1456 when accumulated tensions on both side broke out into revolt, now known as Koshamain’s Revolt, after the great Ainu leader Koshamain was killed. This would be only the first of many clashes with Japanese authority. In the Edo period (1601-1868) the two cultures managed to establish economic relations, but unrest continued to threaten the balance. The Meiji Restoration of 1868 boded ill for the Ainu. As writer Jude Isabella so succinctly points out, the Ainu were "an inconvenient culture at a time when the government was steadfastly creating a national myth of homogeneity" (Isabella). Desperate for land and jobs for the recently abolished samurai class, and wanting to prove themselves as worthy equals to the West, the Japanese government promulgated the Hokkaido Indigenous Protection Act (北海道ほっかいどう旧土人きゅうどじん保護法ほごほう) in 1899 as a way to annex Hokkaido. Under the koseki, Japan’s family registry, the Ainu were downgraded to a commoner status, effectively stripping away their rights as an indigenous people. The government rubbed more salt into the wound by prohibiting the Ainu from carrying out their traditional hunting and fishing practices, as well as tattooing. They gave them a bunch of farming tools, land that later turned out to be unsuitable for farming, and left them to figure it out themselves. The Act wasn’t abolished until 1997, during which the Ainu suffered from social and economic discriminations. Ainu children were singled out and bullied. Ainu faced difficulty securing employment. Out of fear of being discriminated and shamed, many Ainu started to bury their Ainu heritage in favor of fitting in. As many Ainu assimilated into Japanese culture, aspects of their history and traditions were gradually lost. Ainu ekashi Urakawa Haruzo pays respect to the gods and the dead, representing one of many Ainu striving to keep their culture and traditions alive. Some Ainu, like Urakawa, denied their Ainu heritage most of their lives before learning to embrace it. The 1997 bill didn’t magically wipe away all these experiences. Surveys today still show the Ainu struggling in education and employment. Discrimination hasn’t ceased either. In recent years the battle for recognition as an indigenous people has garnered support from international communities. This bill was the culmination of years of facing pressure from both the Ainu and overseas rights’ groups. But does it actually respect the Ainu as an indigenous people? If the Japanese government was hoping the Ainu would be appeased by this recent bill, they were sorely mistaken. So what exactly does the bill entail, and what does it lack that is upsetting so many Ainu? For starters, the bill would replace the current 1997 bill and legally recognize the Ainu as an indigenous people. All well and good, right? Not so fast. Nothing in the bill states anything about granting the Ainu indigenous rights. Indigenous rights include the right to self-determination, autonomy, and land rights. The irony is especially biting when we remember that Japan was one of 143 countries who pledged their support to the UN Declaration on the Rights of Indigenous Peoples in 2007. The bill also officially allocates funds for tourism efforts to draw people to Hokkaido where the Ainu people originated. One such plan is to open a National Ainu Museum and Park before 2020. Shimizu Yuji, president of the Kotan no Kai (コタンの会), called out the government for using them as a "tourism resource." And who can blame him? The government has made no secret about their hopes of attracting tourists to Ainu cultural hubs. Kimura Fumio, co-chairman of the Ainu Ikotsu wo Kangaeru Kai, brought up the history of forced emigration and assimilation policy, and the criticism, "The government hasn’t obtained the people’s understanding of the history of discrimination towards the Ainu people." Mikami Jun, president of the Mukawa Ainu Association, conceded that it was a step forward, but also said, "Salmon fishing is included as a special measure, but even now it’s possible to get permission to fish if you request the prefectural governor. What changes with the new law?" Sawada Kazunori, chairman of the Tomakomai Ainu Association, pointed out, "Economic support for children from their infancy to school age years in order to sever the chain of poverty, as well as providing pensions to Ainu seniors with no or low pensions, are crucial." Sad to say, this bill seems more rooted more in politics and catering to overseas communities than anything else. Touting tourist visitor numbers before talking about preservation of the Ainu ways of life was a bad move by the government. While we’d like to think that government recognition will solve all problems for the Ainu, that’s not realistic. How can any nation redeem itself after centuries of persecuting, degrading, and all but obliterating an indigenous people? The bill is slated for deliberation in the Diet. The Japanese government would do well to seriously consider the opinions of Ainu ekashi and Ainu associations on revisions and additions to the bill. I say grant them their indigenous rights. The Ainu have waited and suffered long enough. Alyssa Pearl Fusek is a freelance Japan and mental health content writer living in Chico, California with her partner and one cat. She graduated in 2015 from Willamette University with a B.A. in Japanese Studies and continues to improve her Japanese language skills. She is also a published poet and fiction writer. You can check out her freelance writing work at The Japanese Pearl. From her scandalous love life to her campaign to have men with STDs barred from marriage, Hiratsuka Raicho was like nothing Japan had ever seen.